Each year we hold a discussion day aimed at students and stained glass artists in the early stages of their career, although established artists and interested amateurs are also welcome. Stained glass for the home once formed an important part of architect-designed houses. 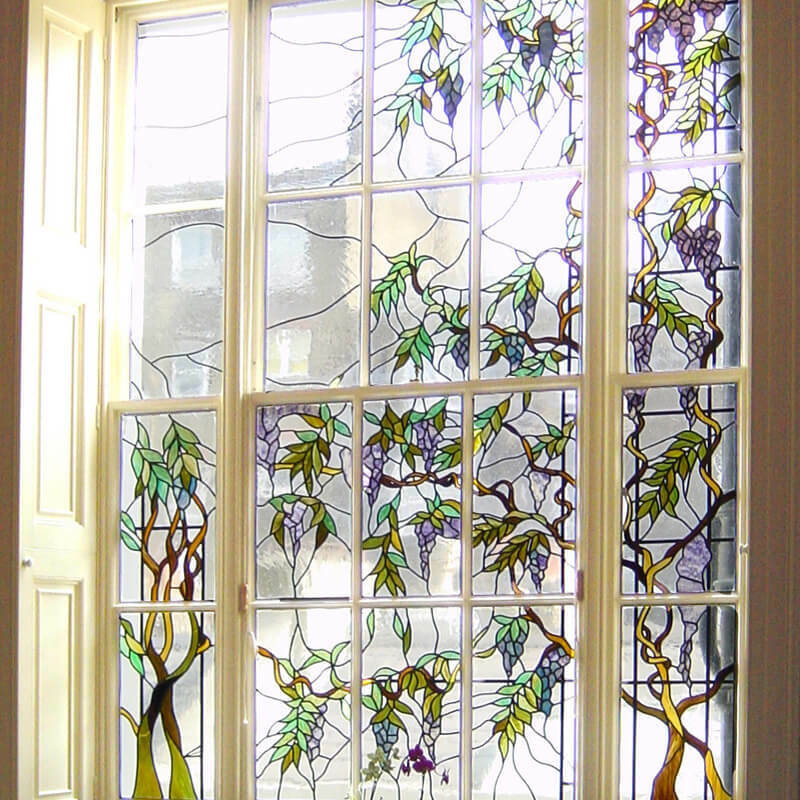 In the Victorian and Edwardian era, stained glass was used as a way of combining privacy with colour in an urban context, while homes built in the 1930s often included stained glass of quite surprising novelty. For most of us, our first commission is likely to be ‘domestic’ – a door panel, a new window with a difficult outlook or a back-lit panel to enhance a special room. This year our four guest speakers address the problems and joys of working to commission in a customer’s home. How do you come up with a creative design often dominated by personal input from the client, and keep your artistic integrity? Which building regulations do you need to be aware of? How do you use social media to gain new clients? How do you price a commission? Our speakers are Neil Ireson, Flora Jamieson, Rachel Mulligan AMGP and John Reyntiens, all of whom have worked extensively producing stained glass for homes. Caroline Swash FMGP will chair the day. There will be plenty of opportunity for discussion and questions. Tea and coffee are provided but not lunch. There are many wonderful places to eat in nearby Borough Market. 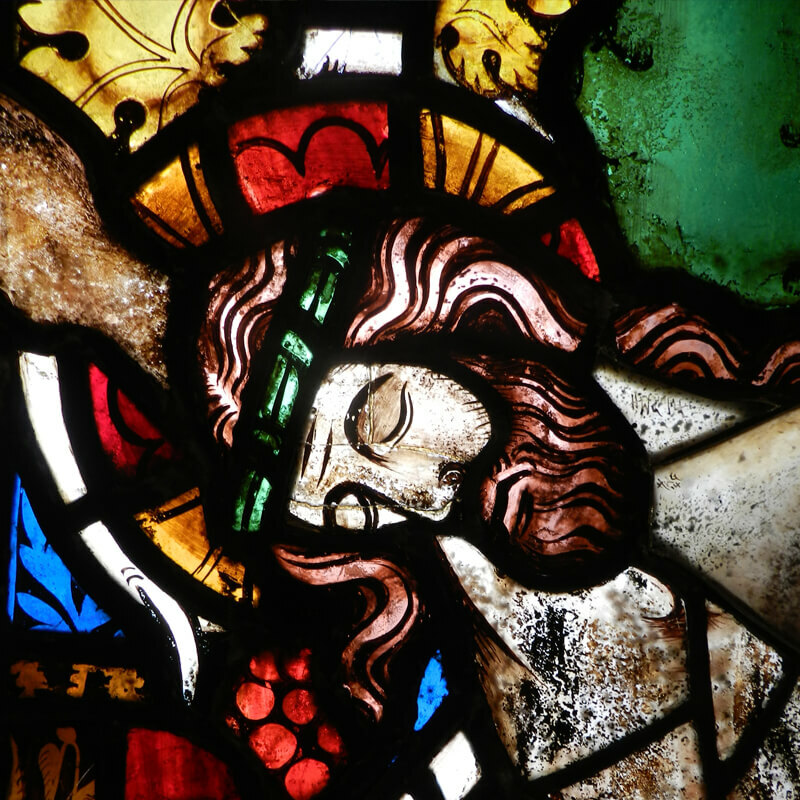 Primarily aimed at students and those in the early stages of their stained glass careers, the Discussion Day is open to everyone with an interest in stained glass. It is a chance to see some exciting work and hear directly from the artists about their practice. The British Society of Master Glass Painters is very grateful to the Worshipful Company of Glaziers for hosting the event and to Malvern Arts Press for sponsoring the day. Tickets are £30 and members of the British Society of Master Glass Painters receive a 15% discount.